Washington, D.C. While you are looking for small talk around your Thanksgiving table you can tout the upside of public transportation. Taking public transit cuts down on stress, makes you healthier and gives you bragging rights when it comes to who saves the most. The annual savings is $9,286 for a person who switches their commute to public transportation, according to the American Public Transportation Association’s (APTA) November Transit Savings Report. Individuals who ride public transportation instead of driving can save, on average, more than $774 per month. These savings are based on the cost of commuting by public transportation compared to the cost of owning and driving a vehicle which includes the November 23, 2015 average national gas price ($2.07 per gallon- reported by AAA), and the national unreserved monthly parking rate numbers. The national average for a monthly unreserved parking space in a downtown business district is $166.26, according to the 2012 Colliers International Parking Rate Study, which is the most recent report available. Over the course of a year, parking costs for a vehicle can amount to an average of $1,995. APTA calculates the average cost of taking public transit by determining the cost of the average monthly transit pass of local public transit agencies across the country. This information is based on the annual APTA fare collection survey and is weighted based on ridership (unlinked passenger trips). The assumption is that a person making a switch to public transportation would likely purchase an unlimited pass on the local public transit agency, typically available on a monthly basis. APTA then compares the average monthly transit fare to the average cost of driving. The cost of driving is calculated using the 2015 AAA average cost of driving formula. That formula is based on variable and fixed costs. The variable costs include the cost of gas, maintenance and tires. The fixed costs include insurance, license registration, depreciation and finance charges. The comparison also uses the average mileage of a mid-size auto at 23.1 miles per gallon and the price for self-serve regular unleaded gasoline as recorded by AAA on November 23, 2015 at $2.07 per gallon. The analysis also assumes that a person will drive an average of 15,000 miles per year. The savings is based on the assumption that a person in a two-person household lives with one less car. In determining the cost of parking, APTA uses the data from the 2012 Colliers International Parking Rate Study for monthly unreserved parking rates for the United States which is the most recent report available. 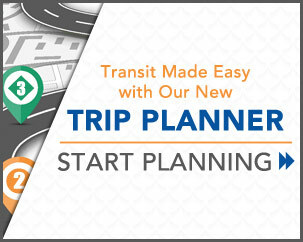 To calculate your individual savings, with or without car ownership, go to www.publictransportation.org. The American Public Transportation Association (APTA) is a nonprofit international association of 1,500 public and private sector organizations, engaged in the areas of bus, paratransit, light rail, commuter rail, subways, waterborne services, and intercity and high-speed passenger rail. This includes: transit systems; planning, design, construction, and finance firms; product and service providers; academic institutions; transit associations and state departments of transportation. APTA is the only association in North America that represents all modes of public transportation. APTA members serve the public interest by providing safe, efficient and economical transit services and products. More than 90 percent of the people using public transportation in the United States and Canada ride APTA member systems.